Our mission is to produce high quality, genuine farm-brewed beer. We will strive to provide our customers with quality products that are grown locally using ethical and sustainable agricultural methods. At S&S Brewery, we will work to create a sense of community in our operations by treating our customers like part of the S&S “family,” never forgetting who blesses us in this endeavor. 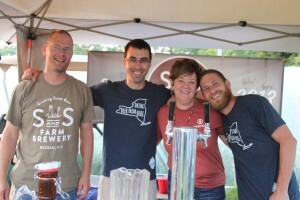 S&S Brewery is located in beautiful upstate New York on a small family farm that has been owned and operated by the Sanford family since the 1800s. Over the years, the farm has evolved from a multi-faceted production farm to a dairy, and now, to a farm brewery. In addition to being a farm brewery, the farm also produces hay and is currently growing a herd of grass-fed beef cows. The idea to transition to a farm brewery was sparked by our farm boys, who had been thinking long and hard on ways to rejuvenate the farm. All enjoying beer, and having been home brewers for a while, this seemed like the perfect way to combine their passion for craft beers and the growing need to put our resting fields back into crop production. Currently, our former milk house is where all our beer is being brewed. We have begun to expand our operations and convert the old dairy barns into our brewery and taproom. 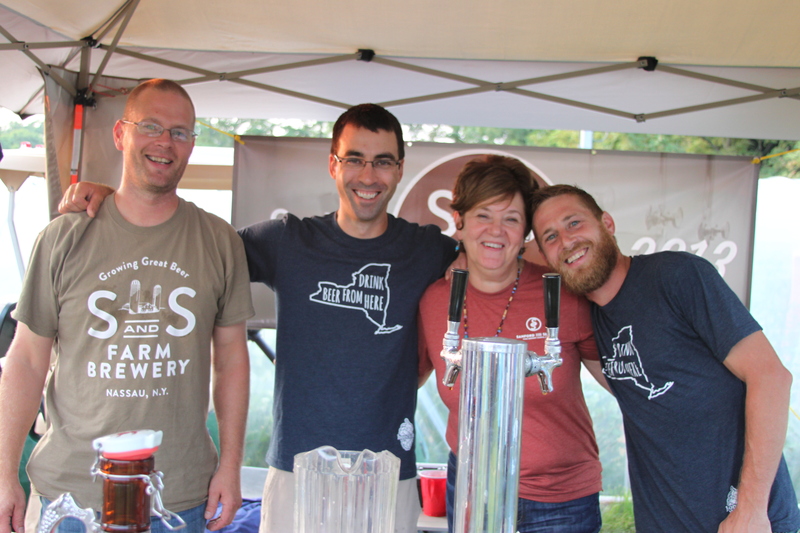 S&S is currently in the process of growing its farm operation, as we are increasingly incorporating our own ingredients into our beer while continuing to support New York State farm businesses. These practices will allow for us to produce beer with the highest quality hops and barley that we can be proud to serve to our customers. S&S Brewery is committed to responsible and sustainable farming practices. Our quality hops and barley are being grown according to organic methods and principles, reducing the impact we have on our land. At S&S brewery we are joining the farm-to-table movement, offering you a beer that is taste specific to the region our beer is crafted in. By using New York State products, S&S is brewing beer that cannot be replicated in other regions. Our team is a collaboration of Sanfords and Sentz (hence S&S): Carol Sanford, her two boys, Matthew and Jason Sanford, and their brother-in-law Addam Sentz. Each family member’s talents provide so much to the beer creation process.